The move came two days after IAS and DANICS associations announced that officers would only maintain written communication with AAP ministers until Chief Minister Arvind Kejriwal apologies for the alleged assault on Chief Secretary Anshul Prakash at his residence on Monday night. 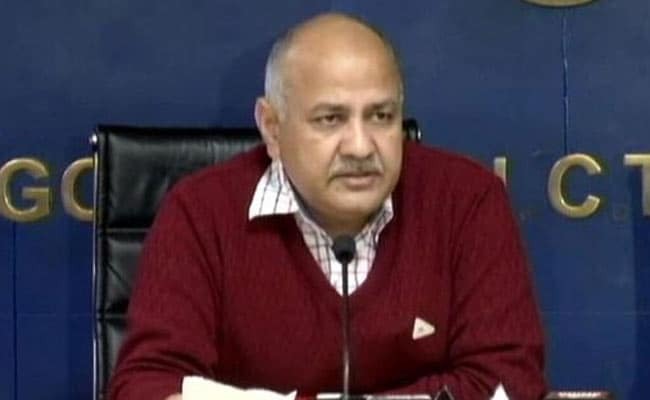 New Delhi: Miffed at the decision of bureaucrats to boycott meetings in wake of the alleged assault on Delhi Chief Secretary Anshu Prakash, Deputy Chief Minister Manish Sisodia on Thursday ordered secretaries of his departments to submit status of pending proposals every week in writing. The move came two days after IAS and DANICS associations announced that officers would only maintain written communication with AAP ministers until Chief Minister Arvind Kejriwal apologies for the alleged assault on Prakash at his residence on Monday night. Citing Rule 17 of Transaction of Business Rules (1993), Mr Sisodia ordered that principal secretaries (education) and secretaries (art, culture & languages) will submit statements to him on proposals and matters and their expected time-line every week. In separate orders to two department heads, the deputy chief minister also sought lists of proposals and projects on which details would be submitted every week. "If any matter relating to education department is pending with any other department, then it is the responsibility of the principal secretary (education) to find out the current status and give the reasons for the delay and include it in the report. Merely stating its pendency with another department will not suffice," he said in the order to principal secretary (education). Mr Sisodia, who also holds the education portfolio, said an order had been issued on December 29, 2016, for submission of weekly reports but these reports have not been submitted for the past several months. "This is to reiterate that weekly reports are required to be submitted under Rule 17 of the Transaction of Business of Government of NCT of Delhi Rules, 1993 (TBR) and submission of weekly reports should resume from February 26, 2018 positively," he said in his order to the education department principal secretary. For the past two days, IAS and Delhi, Andaman and Nicobar Islands Civil Service (DANICS) are not holding meetings with Delhi ministers, including Chief Minister Kejriwal in protest against the alleged assault on the chief secretary. All employees of the Delhi government have also decided to observe a five-minute silence every day outside their respective offices at 1.30pm during lunch on working days to express their anguish over the "breach of faith" by political executive of the city government.